O Radiant Dawn, splendour of eternal light, sun of justice: come and shine on those who dwell in darkness and in the shadow of death. 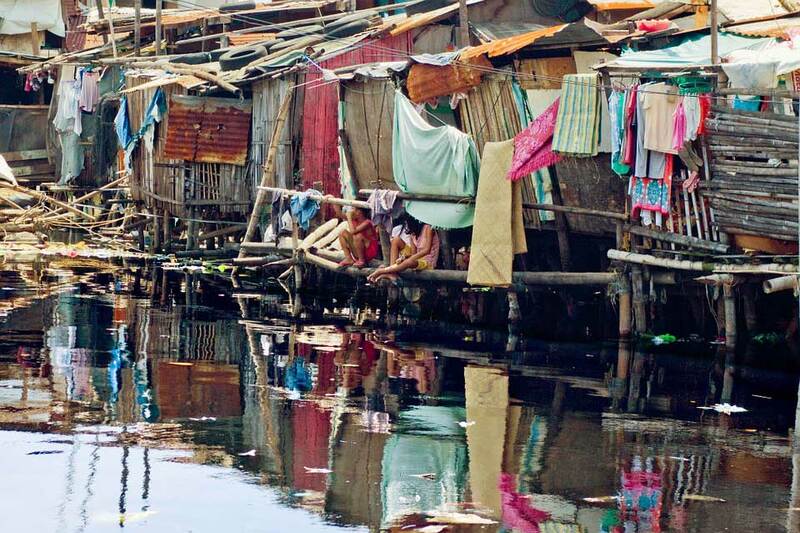 Sixty five million people live in the slums where the dwellings are unfit for human habitation by reasons of dilapidation, overcrowding, lack of ventilation, light and sanitation facility. Despite these negativities, the slums are the hub of manifold activities such as small scale business activities, small industries that produce commodities, recycling of waste materials that include plastic bags, cell phones, oil cans, newspapers, paper bags etc. We remember today all the people who live in the slums, pavements and foot paths. They contribute to the society by their hard labour under varying circumstances, and inhuman surroundings, sometimes risking their lives; they live in a very harmful and hazardous situation. The women and girls become victims of harassment and human rights violation. This is a story from one of the Slums in Bhopal, Madhya Pradesh, India where the Holy Spirit Sisters extend their social service. During the heavy rain fall in the month of July 2016, the slum was submerged with the sudden surge of floods. The slum dwellers were caught unaware. They were all asleep when it occurred and they had to run out of the small houses leaving behind everything, even the little that they owned. The whole area seemed as if it was an enormous lake. The people were in deep trouble and they were dismayed and distraught as they could not grasp how this could happen to them as they were already very poor and desolate. One of them, a poor lady, ran out of her house in horror when the water forcefully entered her room, not realizing that she had not picked up her ten-month old baby. She rushed back to the room, only to find the lifeless child. It was a heart breaking scene and no one could console the lady who lost everything especially her beloved child. Amidst the insecurity and hopelessness the slum dwellers experience God’s providence day in and day out as they come face to face with various problems including the natural calamities. Our mission here enables us to reach out and thus give them some hope. Lord God, You came to give honor to the least, those forgotten, overlooked and misjudged. You came to give first place to the last, those left behind, misunderstood and undervalued. You came to give a warm welcome to the lost, those who are orphaned, abandoned and destitute. Lord God, no one is a stranger to you and no one is ever far from your loving care. In your kindness, watch over the people in pavements and slums, those exposed to extreme poverty, neglect, and unjust systems; those separated from their loved ones, young people who are lost, and those who have left home or who have run away from home. Bring them back safely to the place where they long to be and help us always to show your kindness and compassion to all and thus expressing our communion especially to those in need. We ask this through Christ our Lord. Amen.